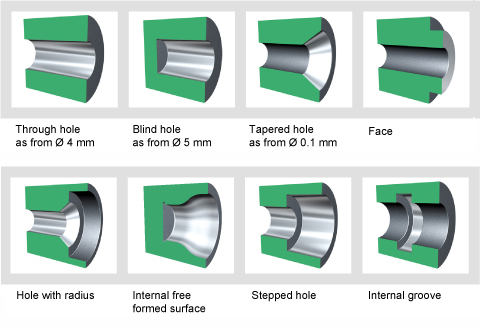 The internal hole grinding has not high requirements for the upper process, and can achieve higher precision than the rolling process. 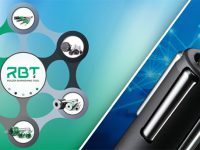 In actual production, it is difficult to reduce the temperature of grinding area in the process of inner hole grinding, and the residual tensile stress, grinding cracks and burns generated in the surface layer will be generated. 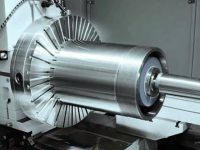 These can affect the performance of parts and make the production efficiency low. The rolling process has high requirements on the upper process, which cannot improve the shape accuracy of parts. The size is easy to control because there is no heating in the process. The residual compressive stress and cold hardening produced by the surface layer of parts can improve the performance of parts. It is highly productive. 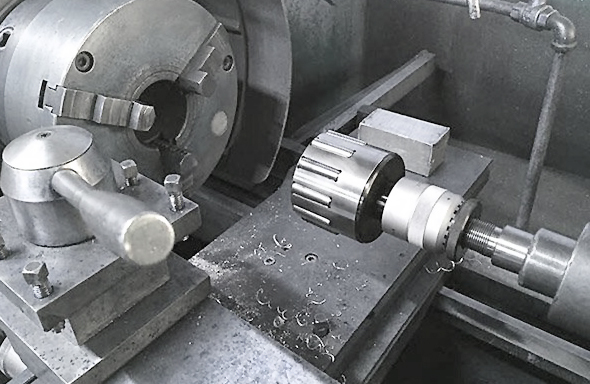 Roller burnishing process is a kind of non-chip machining, which exerts certain pressure on the workpiece surface through certain forms of roller burnishing tools. The plastic deformation of metal is used to smooth the uneven surface of workpiece at normal temperature, so as to change the surface structure, mechanical properties, shape and size. Therefore, this method can achieve two purposes of finishing and strengthening at the same time. 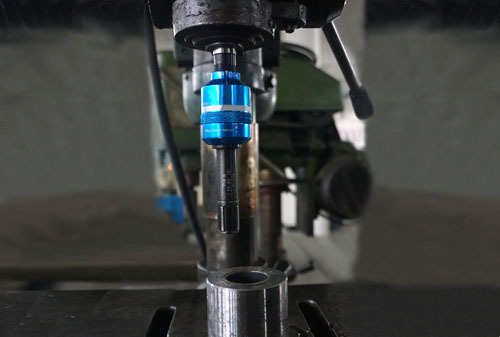 After the surface of the metal workpiece is rolled and processed, the hardness of the workpiece surface is strengthened and the yield point is increased. The performance, fatigue strength, wear resistance and corrosion resistance of workpiece have been improved obviously. The roller burnishing process is easy to master, and can be processed by ordinary drilling machine. Ordinary operators can process the mirror precision, micron precision parts! 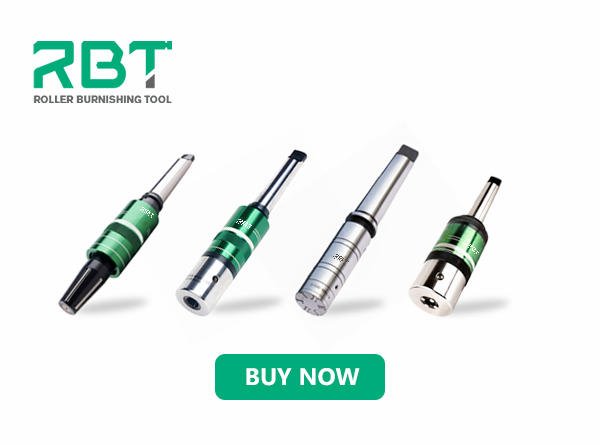 The comprehensive cost of roller burnishing tool is low, which is 10-100 times lower than the cost of grinding machine, quilting machine and ultrasonic rolling. 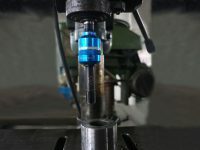 The surface of the workpiece will be hardened by rolling, and there is obvious stratification between this layer and the inner material, which is easy to cause the surface to fall off. 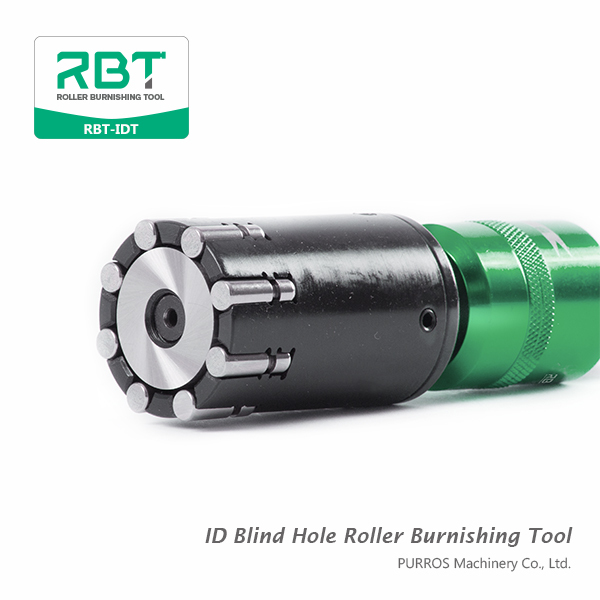 The rigidity of roller burnishing tool is large, which damages the guide rail of the transmission mechanism of the machine tool and seriously damages the precision and life of the machine tool. It can not satisfy the processing of rigid parts such as thin-walled pipe fittings.